Puerto Rican kneeboard surfer Albert Munoz (left) has won his second open World Title, beating Wollongong’s Chayne Simpson in a close contest at The Wedge at Surf Beach. The man-on-man final was the culmination of an exciting week of surfing at the 2015 World Kneeboard Championships. 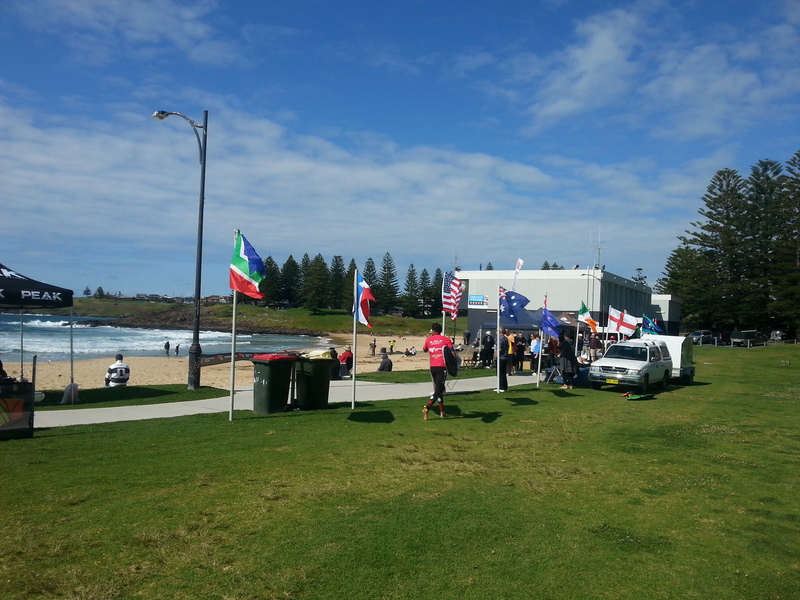 The event started with a welcome to country and traditional ‘mixing of the sands’ of each of the 11 competing nations at The Pavilion in Kiama, with competition starting the next morning at Bombo Beach. The competition stayed at Bombo for three days, before moving to Surf Beach. The swell picked up and good solid waves greeted the surfers from Thursday onwards. Albert had to beat Cronulla’s two time world champion, Gavin Colman to make the final, while Chayne had to face five time world champion, Simon Farrer of Shellharbour. Karolle Poppke of Tahiti won the Women’s Division ahead of Anne Milochau of France. The week long event was a big success, with some of the interstate and overseas competitors spending up to three weeks in town. The next World Titles are in Somo, Spain, in 2017.